A managing general agent (MGA) or a managing general underwriter (MGU) is a specialized type of insurance agent or broker that has been granted underwriting authority by an insurer, according to the International Risk Management Institute (IRMA), and can administer programs and negotiate contracts for an insurer. An MGA’s functions can include binding coverage, underwriting and pricing, settling claims, and appointing retail agents in a certain region, all of which are typically carried out by insurers. At its core, the MGA manages all or part of the insurance business of an insurer and acts as an insurance agent or broker for the insurer, while working as the intermediary between carriers and agents, and/or insureds. Wholesale brokers act as an intermediary between a retail broker and an insurer, and work with insurers to attain specialized coverage for clients while having no contact with the insured. An MGA is one type of wholesale broker, and operates on the insurer’s behalf while also working closely with clients to attend to their needs. The other type of wholesaler is a surplus lines broker who works with a retail agent and an insurer to obtain coverage for the insured. What makes MGAs unique is their binding authority from the insurer. An MGA will deliver and service a carrier’s product to both insurance agencies and clients. MGAs can work with several carriers to formulate a specific mix of products to deliver to agents/brokers or directly to insureds. MGAs tend to deal in lines of coverage such as professional liability, employee benefits or surplus lines where specialized expertise is needed to underwrite policies, though they can be active in any line of insurance, and work with all types of insurers. 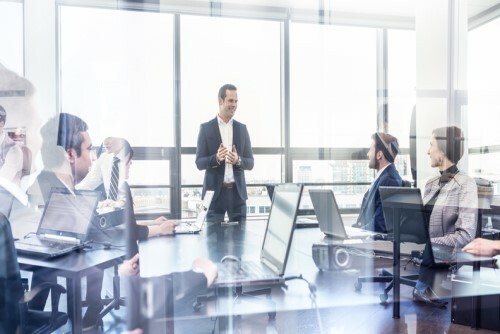 If an insurer wants to explore a specialty line of business, but does not want to take on the risks or uncertainty of doing so, they can turn to an MGA to offer up that expertise, and give the MGA the authority to underwrite and issue specialty policies because they are already familiar with the risks. Similar to insurers, agents can get expertise about a particular product or more competitive pricing by working with an MGA. They can likewise gain entry to markets and carriers that could be difficult to access on their own, and because of the often-smaller size of the MGA business, there are fewer barriers to communication for a broker. MGAs also bring technology to the table, such as online platforms that integrate with wholesale channels or products that speed up the quoting process, that help independent agents provide better services to their clients. Agents can realize higher commissions by working with an MGA that has a diverse network of carriers, allowing agents to review the commission structure and have the option to sell carriers’ products that offer the best rates. With technology bridging the gap between insurers and clients today, some carriers are moving away from relying on MGAs, which has thrown the identity and future of the MGA into question. However, an MGA is a natural outlet for technology solutions to plug into because of its established distribution channels. These agencies can also react to market changes quicker than typical insurance companies because they are smaller businesses that are acting on behalf of larger carriers. During hard market periods, MGAs can be used by insurers to decrease costs and increase profitability. The MGA model is also flexible. Following the 2008 financial crisis, Ironshore, a Liberty Mutual company, established its managing general underwriting agency as its commercial clients were facing heightened risk since the viability of some insurance carriers that offered high coverage limits across many lines of business for major companies was uncertain. Brokers were meanwhile also under pressure to find alternative coverage solutions. The Ironshore MGU model involved underwriting as well as claims management, the latter of which made it unique from a traditional MGA, which can have limited authority on claims management and payment. Are regulations detrimental to employee benefits businesses?